The Multigraph Machinery Company Ltd. ( MMCL) overseas management team comprises of individuals who have extensive experience in printing technology. Between them they have over 50 years of operational & sales experience and are responsible for the entire Sales & Service of the company spanning the African continent and the Middle East. The MMCL overseas Management teams are based in Kenya, Nigeria & the Middle East and oversee the functioning of the company for their respective regions. Regional Manager - East Africa. Starting his career as a qualified mechanical engineer, Mr.Karnad began his career in printing over 23years ago in India. With his extensive experience & exposure in handling various web machines, he was appointed as Regional Manager, Nigeria and is now independently overseeing the Sales & Services of various products for Multigraph Machinery Company Ltd.in the region since 2007. He has been relocated to Nairobi, Kenya since September 2014 as Regional Manager. Regional Manager - West Africa. A wealth of twenty three years of experience in the printing industry is what Mr.Anil Rai brings to Multigraph Machinery Company Ltd. He has been involved as a Printing Mechanical Engineer for the Installation, commissioning & Project coordination of various machines in multiple locations. In 2012 he was appointed as Regional Manager looking after the Sales & Marketing operations of Multigraph Machinery(SA)Pty Ltd. for South Africa and its neighboring countries. He has now moved to Lagos, Nigeria as Regional Manager, since September 2014. General Manager – Middle East. 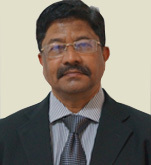 Mr.Dinesh Raorane hails from a well rounded background in finance, international business and general management. 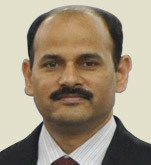 He started his career in India over 20 years ago in printing technology in the finance division and it has remained his forte ever since. 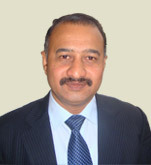 He moved from India in 2008 to take over as General Manager of Mercongraphic FZC, UAE ( a wholly owned subsidiary of Multigraph Machinery Company Ltd. ) and now overlooks the entire gamut of business in the Middle East and its neighbouring countries. Marketing Partner & Distributor of renowned Global Manufacturers for Converting Machinery for the Flexible Packaging & Label Industry.